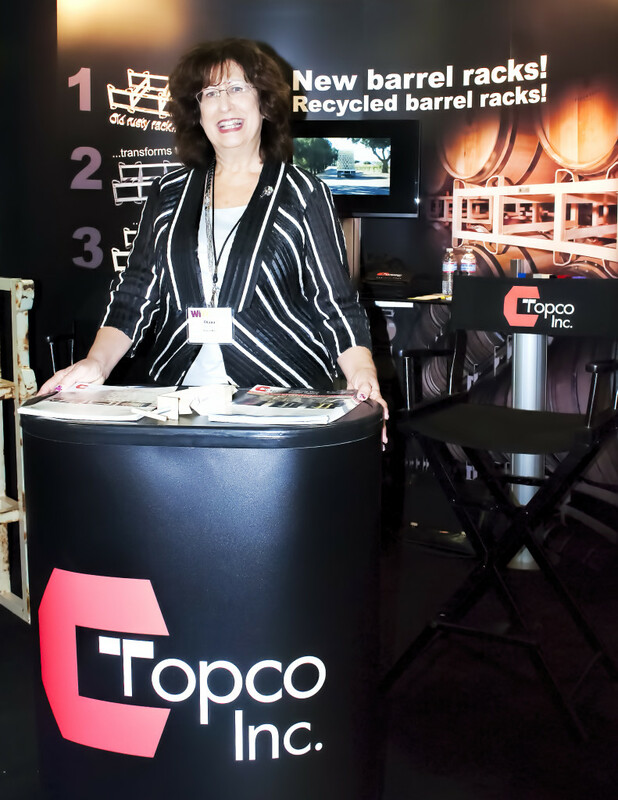 About Us – Topco, Inc. "We make wine barrel racks." We are a family business located on the central coast of California. We began manufacturing wine barrel racks in 1997. Our client base consisted of small local wineries at first, and within the first year we found ourselves selling all over the United States. Approximately two years after selling our first wine barrel racks, we discovered that the popular eastern cradle design was difficult to completely powder coat inside of the acute angle where it developed extra rust. Our solution to this dilemma was the creation of the innovative Topchock© design where it attaches to the rack at a right angle allowing powder coat to be easily applied. selling wine barrel racks to wineries in 1997, we noticed piles of old and rusty racks piling up behind warehouses. We thought this to be a waste and wondered how we could recycle them for further use. It wasn’t until 2006 when we found a solution, the Pangborn rotoblast wheel abrator; a machine that could strip all the rust and old powder coat off of the old racks making it possible to apply a new shiny coat. Currently, we have a large client base stretching across the state of California who are now very interested in recycling and remanufacturing their old wine barrel racks. We also manufacture new racks as needed. Here at Topco, we are proud of our product and services that we provide for you.